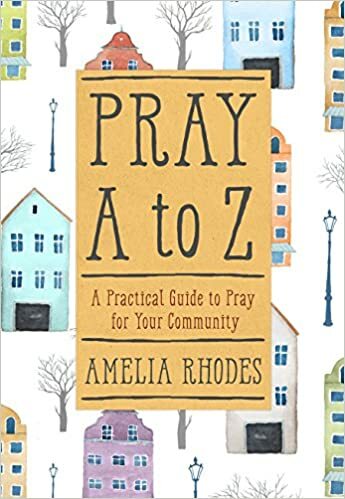 Pray A to Z: A Practical Guide to Praying for Your Community will help you topically organize your prayer requests and lay the burdens of your community at the feet of our Heavenly Father. Whether you are praying for a friend's adoption journey, a neighbor's bankruptcy, or a family member's cancer, this book will give you Bible verses, prayer prompts, and prayer starts to guide you through praying for even the most difficult issues that affect the people you know and love. Perfect for either individual or group prayer, Pray A-Z will help you experience the peace that comes from communicating with God. Amelia Rhodes lives in Michigan with her husband and two children. 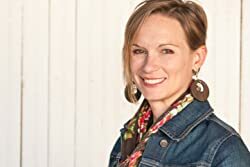 She is a contributing author to "Chicken Soup for the Soul: Here Comes the Bride." Her essays have been featured on Burnside Writers Collective and Catapult Magazine. Her book "Isn't it Time for a Coffee Break? Doing life together in an all-about-me kind of world," will release January 1, 2013 (Barbour). In addition to writing, Amelia enjoys running and gardening and is active in her children's schools. Cassandra's Review- I bought a small candle and a great box of my favorite tea. I sat down and went through the book stopping once in awhile to pray for things, I would have never thought of. In the end I felt relaxed and less stressed out. I would recommend this for either someone who needs to de stress while being able to bless ot people just learning to pray.